But that comment did get me to thinking. After all, this is Chanukah. The whole point of the holiday is to “light up the darkness”, an extension of our “light unto the nations” mandate. Did I think I should’ve swallowed my indignation and said things in very small words to the offender as to why he was being a big meany? Nope. But I didn’t really see a way to reconcile “lighting the darkness” with “very definitively not taking someone’s crap”. And then it hit me. It’s just so obvious and we don’t even see it. It’s sitting right there in plain sight. Torah tells us to be a “light unto the nations”. 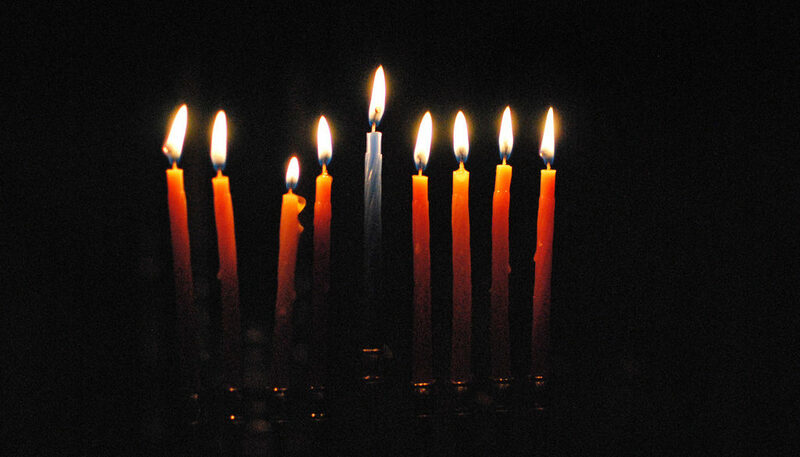 Our Rabbis speak about Chanukah in terms of “lighting up the darkness”. But when they said “light” they weren’t talking about flashlights or LED lamps or your cell phone. From their point of view and their place in history there’s only one source of light that people are able to actively use to illuminate. Fire, if you think about, is far superior to have in the dark than “light”. Light can show you that there’s a thornbush in your way and that you can’t move any further forward. Fire can show you the thornbush, and then torch it out of the way for you. Fire can warm you. “Light” can’t. And I think that that is the light we’re supposed to be. We’re supposed to be fire. A light to show the way, yes, but also a fire to open paths that are blocked, or to burn away things that shouldn’t be there, or to light the way by inspiring others with our passion. Maybe it’s time we started being that for ourselves and others.